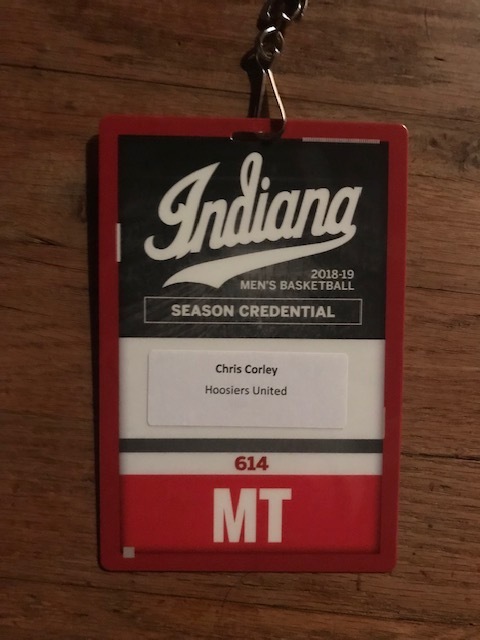 As I prepare for Indiana’s first real test of the season coming up on Wednesday night in B-Town, I can’t help but think of how lucky I consider myself in being able to cover their games from the media side. Viewing a game in Assembly Hall while trying to prepare an article is a little (okay a lot) different than viewing a game as just a fan. I have actually had to refrain from either cheering a great play, or screaming about a bad call. I am not real sure what would happen if I did either, but since no one else has done it, I will continue to refrain from doing so. When Ben (@malcomsonben) and I (@chriscorley_3) ventured into this endeavor, our short term goal was to provide a place that you could read (or listen to) a fan’s take on what is going on in the world of Indiana Hoosiers sports. Ben then reached out to a lot of the numerous other IU sports sites and asked if we could provide a link to their site from our site. Hence the name (@hoosiers_united). We were not trying to compete with other sites. We were trying to create a one stop shop with access to anything and everything IU. The links to other sites on this page are our friends, and although the content is centered around Indiana University sports, each gives you something a little different. Brian Tonsoni (@Soni42), Josh Wilson (@joshwilson33) and William Murphy (@Williamindiana2) are huge contributors to our site as well. Their writing and their podcasts have been great additions to what we set out to do when we started. The entire group on our site, all of our friends’ sites linked on ours, and you (the followers) helped make it possible for Ben and I in turning a dream into a reality. And, it happened much sooner than we could have imagined. We promise we will continue to try and bring you not only a different perspective of all things Indiana University sports, but also to try and to continue to improve and to grow. A huge thank you to everyone, including Indiana University and you, our followers, for allowing us to be a small part of something that is such a big part of our lives. Again, thank you, and Go Big Red!